concerned with the use of standards. NOTE: IFAN does not include associations whose membership is concerned with the end use of products and services complying with standards. 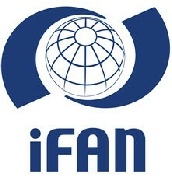 IFAN was founded in 1974 when eleven national standards organizations met in Paris for an International Conference. The promotion of uniform implementation of standards without deviation and develop solutions to standards users’ problems without itself drawing up standards. - The consolidation of standards users’ interests and views on all aspects of standardization and conformity assessment, and to cooperate with international and regional standardizing bodies (e.g. ISO, IEC, ITU, CEN, CENELEC, COPANT, etc.) in order to communicate user views to these organizations. - The promotion of networking in the field of international standardization and conformity assessment. 1. National members are national standards user bodies. 3. Developing national members are national standards user bodies with limited economic resources. 4. Associate members are individuals who may, on account of their standards professional knowledge and expertise, participate in the work of IFAN as individual experts.